No more undercooked grilling this Summer. I love kitchen gadgets! Especially ones that help me to cook. And one of the things I tend to do is over cook meat. 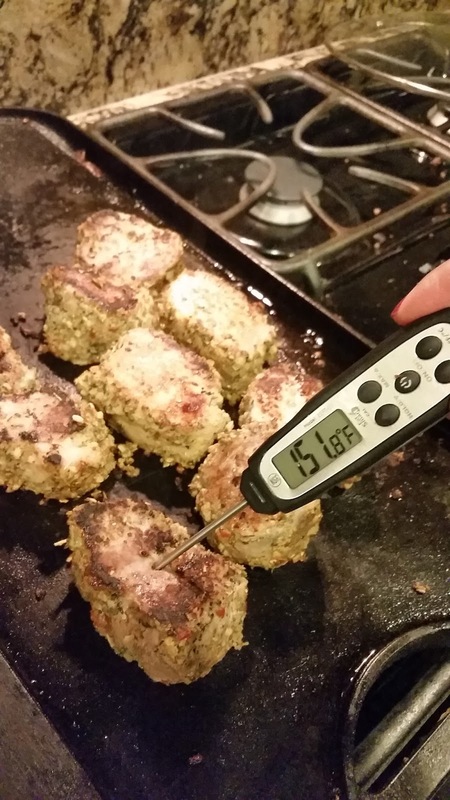 This EatSmart Precision Pro Digital Thermometer made it easy to check the temperature on the meat I cooked. It had an easy to read digital face with the temperature. It also had an indiglo light for easy reading. My only con about this is the temperature reads a little slower than another thermometer I've used, but I still love this one!! The Precision Pro allows you to easily grill or roast food to just the right temperature. Simply remove splash proof cover from steel probe, insert into the thickest part of the meat and in 5 seconds or less, the proprietary sensor registers an extremely accurate internal food temperature. The accuracy of the thermometer translates into food grilled to perfection. An exceptional value at $19.95 and eligible for FREE SHIPPING on Amazon.com, the Precision PRO takes the guess work out of cooking, baking and grilling resulting in delicious meals cooked to perfection both indoors and out.